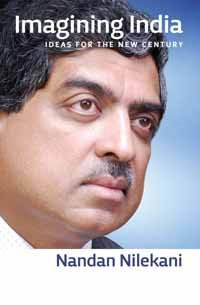 IN A rare instance of choosing a corporate honcho over a politician or a bureaucrat to spearhead a mega government initiative, Nandan Nilekani, co-founder of leading software company Infosys Technologies, has been invited to join newly created Unique Identification Authority of India (UIDAI) as chairman in the rank of a cabinet minister, a government release said on Thursday. The invitation has come from Prime Minister himself. The government made a provision of Rs 100 crore in the interim budget for 2009-10 for its ambitious unique identification project which would give a unique number to every citizen of the country. No wonder, Mr Nilekani will be supported by a huge contingent of civil servants across the country as the Planning Commission of India had already begun the process of recruiting 35 officers at the level of joint secretary or equivalent both at the Centre and states with a pay scale is Rs 37400-67000 (PB-4) along with a grade pay of Rs 10,000. 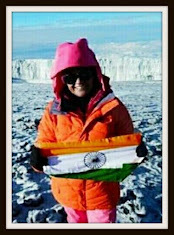 BoI (Babus of India) had earlier mentioned that Tuhin Kanta Pandey, a 1987 batch Orissa cadre IAS, was appointed for a period of five years as deputy director general (DDG) of Unique Identification Authority of India in the pay band of Rs 37400-67000 (PB 4), with a grade pay of Rs 10,000. Mr Nilekani, who was one of the key corporate leaders to create a niche for Indian IT industries globally, is expected to bring in new ideas to this gigantic task involving each of the country’s 100 crore population. Mr Nilekani recently wrote a book titled Imagining India: Ideas for the new century (See pic). Mr Nilekani, warm welcome to power corridors of Delhi! RTI decisions should not be taken up Benches set up by CIC, says Govt Uneasy tension between India’s personnel ministry and Central Information Commission (CIC) has been continuing, as department of personnel and training (DoPT) has now highlighted a circular brought out a month ago saying that under the provision of Section 12(4) of the RTI Act, the chief information commissioner is not empowered to constitute Benches for taking decisions on complaints and appeals. “In view of legal position, it is advised that decisions on the complaints and appeals should be taken by the Central Information Commission as defined in Section 2(b) of the RTI Act, 2005 and not by the Benches of the Commission,” the government’s clarification said.